If you’ve visited Homebody at our brick-and-mortar location, you know we have a diminutive space. And that’s fine with us–it’s less room to fill, clean, and pay for; plus, it works pretty nicely with a certain word in our tagline! But space is always relative, isn’t it? 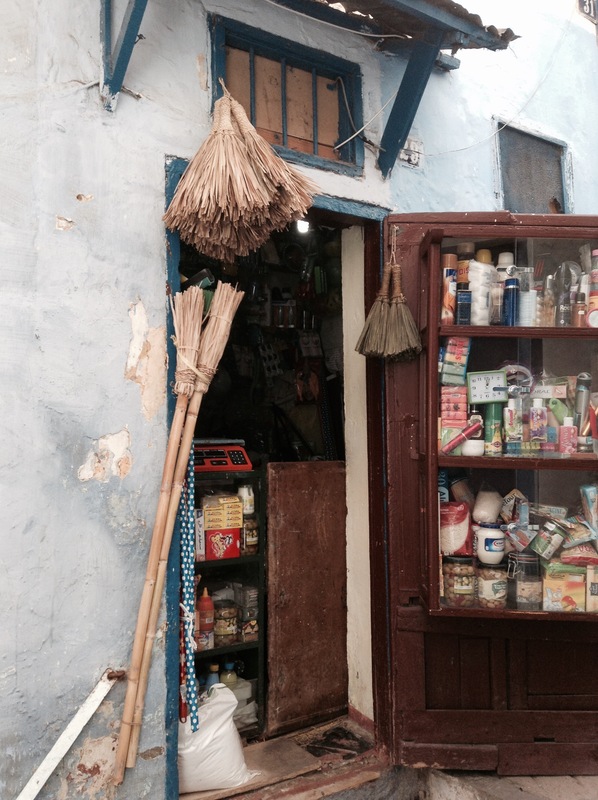 While on a walking tour in Tangiers, Morocco, in April, we had to stop and take at least one photo of one of the micro-shops/studios we saw. I recall that the interior of this mini-grocery extended only a few feet to the back, so you’re pretty much seeing almost all of the shop right here. This is how many locals in these maze-like streets live and work. So really, our shop isn’t so small. But it’s definitely cozy! But your shop Homebody presentation is neatly arranged and organized. I enjoyed my first visit today! I really liked the home-town chatty atmosphere from the shop owners who had just arrived back in the U.S. After 12 years in Japan and Germany. Love everything about… as well as in this shop! Great people running the store… always a smile and time to talk. Thanks so much, Ruthie! We’re reopening this Thursday–come say hi soon! Yay! Stopped by last Saturday… figured you all were out hunting for new treasures for the shop. See you soon!